It's no secret that the heart is one of the body's most vital organs, so it's important to take care of it. Exercise, of course, is key to good heart health, but so is the right diet. Lean protein, whole grains and vegetables are all great suggestions when it comes to planning our daily meals, but sometimes we snack on foods that may not bode well for the heart. To make sure you munch on heart-healthy snacks, try these suggestions to give your heart a boost. Not just for breakfast anymore, oatmeal and oat bran are perfect for an afternoon snack. "Oatmeal and oat bran consistently lower cholesterol linked to a compound, beta-glucan, which is a potent soluble fiber," says Layne Lieberman, R.D., culinary nutritionist and author of "Beyond the Mediterranean Diet: European Secrets of the Super-Healthy." She suggests soaking bircher muesli oats overnight with dried fruit, fresh fruit, nonfat yogurt, almond milk and chopped almonds. An ideal snack for when you're on the go, tuna is a great way to boost heart health. 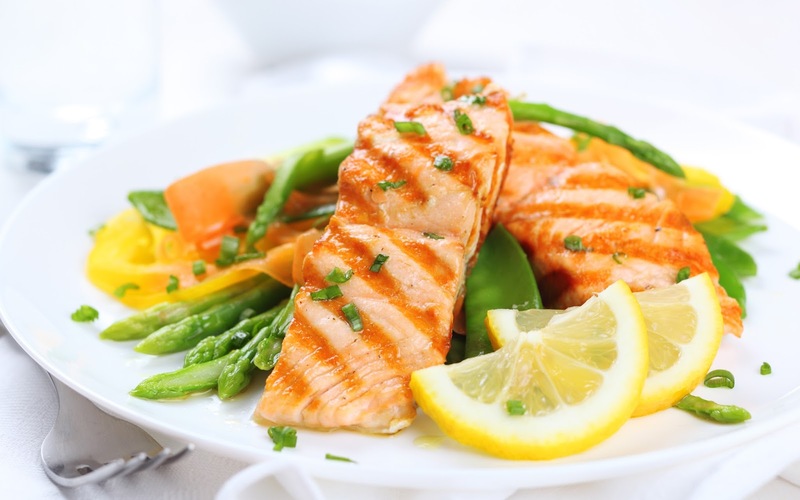 Dr. Matthew Budoff, M.D., a cardiologist with the Los Angeles Biomedical Research Institute, says fish is rich in omega-3 fatty acids, which may help protect against heart attacks. Toss a can in your bag, or, if you have more time, dish it up with a scoop of salsa and a squeeze of lime, says cookbook author Tina Ruggiero, M.S., R.D., L.D. Nuts have a strong reputation for being good for the heart, but don't just grab a handful. Lieberman suggests making a walnut hummus. "Walnuts contain a good dose of omega-3 fatty acids that other nuts don't," she says. "Omega-3s lower triglycerides, a type of fat in the blood, and may slow down plaque buildup in the arteries." To make hummus, combine 19 ounces of chick peas with 1/4 cup of walnuts in a blender. Add three tablespoons of lemon juice, and season with cumin and pepper. For a quick snack, nutritionist Alison Borgmeyer, M.S., R.D., loves Egg Beaters SmartCups. "I pop them in the microwave, add some peppers and a sprinkle of cheese, and I'm good to go until dinner," she says. "Less than 200 calories with no cholesterol and little fat but with vitamins, minerals and satisfying protein that your heart needs to keep you moving." Lieberman suggests making a heart-healthy smoothie with a frozen banana, a handful of spinach, one mango and 1.5 cups of almond milk. "Spinach adds a heavy dose of antioxidants, including vitamin C, vitamin E, vitamin A (in the form of carotenoids), manganese, zinc and selenium," she says. "Antioxidants from natural foods have been associated with a decreased risk of atherosclerosis (plaque buildup) and high blood pressure." Adding soy into your diet offers many benefits for the heart. "Soybean oil is relatively low in saturated fat and has zero grams trans fat per serving," says Mark Messina, Ph.D., M.S., soy health expert for the United Soybean Board. "Plus it contains vitamin E and essential omega-6 and omega-3 polyunsaturated fat, which can promote cardiovascular health." Try pairing edamame hummus with your favorite veggies for a nutrient boost, he adds. Baked sweet potatoes are heart smart because they are a super-food, packed with calcium, potassium, and vitamins A and C, Lieberman says. "They are virtually fat-free, low in sodium, are one of the most nutritious vegetables and a good source of the soluble fiber pectin known to lower LDL cholesterol (bad cholesterol)," she adds. "They even contain vitamin E. These vitamins, minerals and fiber are responsible for protecting the body against heart disease and stroke." Want a snack with crunch? Borgmeyer recommends making your own treat with yellow and green split peas. "It's super easy with good fats and protein -- great for the heart," she says. To make, soak one cup of dried split peas in three cups of water for 4.5 hours. In a large skillet, add a little olive oil, add peas and stir frequently. Cook five to 10 minutes until golden brown. Get your chocolate fix with Lieberman's chocolate tofu banana mousse. "Regular intake of soy protein in the form of tofu has been shown to lower LDL cholesterol, lower triglycerides and decrease the risk of blood clot formation," she says. To make, in a blender combine one banana, 12 ounces drained tofu, five tablespoons unsweetened cocoa powder, 1/4 cup maple syrup, three tablespoons almond or fat-free milk, and 1/4 teaspoon cinnamon. Pair your heart-healthy snacks with a heart-healthy beverage such as red wine or green tea. "Red wine contains antioxidants resveratrol and catechins, which may help protect artery walls," Lieberman says. "Alcohol -- in moderation -- can also boost HDL, the 'good' cholesterol." Green tea may improve blood flow in the vessels, she adds. If opting for wine, Lieberman recommends checking with your physician if you are currently taking medications including aspirin.